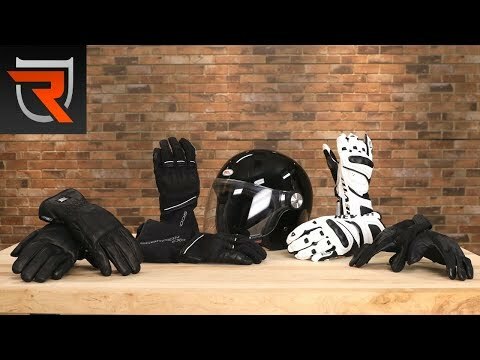 Lucky for you, we have you sorted with a review of the best motorcycle riding gloves for your every need! You will be able to decide on a pair of gloves that provides a balance between protection, functionality and aesthetics in no time. So you’re a rider that doesn’t like the gauntlet style and is looking for short gloves with superior protection? Then consider the Dainese 4-Stroke Evo. A pair of high-end backed by the trusted reputation of the Dainese brand, these CE certified, full cowhide and goatskin leather offer unrivalled protection. Super stylish, it comes in two colours – black,red or white. Dainese 4 Stroke Evo are rather stiff, and require some breaking in. The extensive steel armoury of these gloves can also feel a little bulky for some and would need getting used to. The scaphoid area could also do with more robust protection. The bulk of Stroke Evo come from its long list of highly protective features. The most noticeable are the split metal plates on the back of the hand and the knuckle protectors, also made of steel. There are plastic inserts in the finger joints for added protection and elastics where necessary to allow movement. The palm area is reinforced, with strategic placement of plastic sliders along the pinkie area. The entire lateral side of the hand extending halfway into the palm is also protected with plastic sliders, but this falls short of the scaphoid area. Even with the extensive protective features, users remarked that Stroke Evo still allow feel and feedback while riding. There is perforation all over the palm and thumb to index finger areas and therefore breathability is ensured. These are full leather and once broken in, allow for 5-10% increase in size. The gloves are fairly warm, suitable at least for three seasons of the year. The manufacturers claimed that it is designed for the most demanding street riders – and it fulfils this promise, offering superior protection with its metal plates and knuckle protectors. 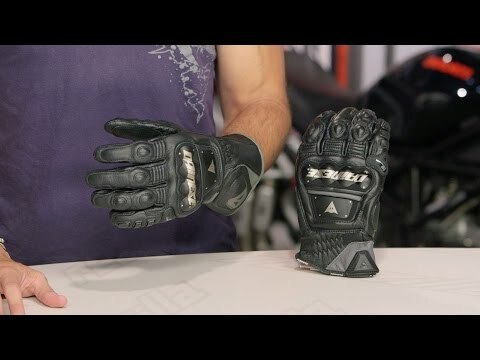 For those not wanting to go full gauntlet, these short motorcycle gloves keep you safe and lets you enjoy your ride. A slight let down with the slightly less robust scaphoid protection. 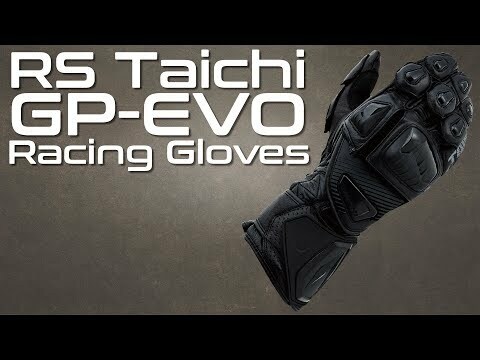 Being in the business for well over 30 years, Japan-based RS Taichi knows what they’re talking about with these version. These gauntlet gloves are made with cowhide outer construction and kangaroo skin palm, added with protective features are made from plastic and foam, internally lined with heat resistant and strong fibres. The sizing has left users split, therefore it is necessary to check the measurements provided by RS Taichi. The cuffs especially need some adjusting to as the opening is rather small. The seams at the tips of the fingers tend to fray after some time. Users rave about the superior protection provided by RS Taichi – particularly the Scaphoid Protection System or simply put – the palm sliders. These are Knox sliders, split to allow movement, but at the same time prevent the palms from catching and binding against the pavement should there be a crash. In addition to this, there is the external protection for the back of the hand, knuckles, wrists and fingers as well as an additional leather layer on the side of the little finger for abrasion resistance. The cuffs are also designed to further protect the bones in the area. RS Taichi require little to no break in period – it shrunk where it needed and stretched where it is supposed to. The palm is pre-curved cut, following the anatomy of the hand and seams are sewn on the outside in no impact zones, giving the gloves a close fit and better feel. Condensation inside the gloves is minimized with perforation in the gusset area. These are gloves that remain comfortable in summer and winter. The protection is top notch: palm sliders, knuckle and finger guards, etc. – everything to be expected from a quality race/track-day glove, making this a worthy purchase. Be sure to check your sizing carefully to ensure perfect fit and comfort. The Knox Handroid are pro-level, race-oriented gauntlets, made from a mixture of cowhide and kangaroo leather, utilising its very own Knox Scaphoid Protection System. These gloves also boasts the supercool exoskeleton system to protect the fingers and thumb, while allowing unrestricted movement. It comes in four colours – black, black/white, red and white. Knox Handroid are flashy with a superhero look and it is bulky – not everyone’s cup of tea. Same goes with the BOA feature for putting on/taking off, which takes time to get used to. It is also stiff and requires a long and sometimes painful break in time. While some would think these motorcycle gear look gimmicky, the eye-catching features are there for good reason. Knox has pioneered the Scaphoid Protection System; with two split panels to allow movement and tactile feel. Kevlar material is used as reinforcement under these two panels and additional plastic sliders on the cuff and wrist areas are also there as safeguards. Tough kangaroo leather covers the insides of the palm and fingers and there is also a wrist slip strap to protect the sensitive arterial spot and keep them intact. To ease the gloves on and off, the BOA has been put in place in the gauntlet area. This system consists of thin, rubberized cables controlled by dials (just make sure you don’t accidentally cut the thin cables when unpacking the gloves). The gauntlet is designed to be wide and extends almost half way up the forearm, therefore it is able to accommodate the sleeve of most racing leathers. As for comfort, nothing beats the dextrous, soft and supple kangaroo skin on the palm and fingers, which allows for agility and finger dexterity. The interior liner is also soft, giving it a nice feel overall. The airflow is decent and these gloves are good for almost all year round use. However, it is to be underlined that these are dry weather gloves, and are not waterproof. These are pro-level motorcycle gloves that take longer to break in, but after that you will be rewarded with maximum comfort in your ride. Care must be taken to ensure the correct sizing (no shortcuts – use the measurements provided). It is built to last and are perfect for round the year riding. You get peace of mind with these gear – it WILL protect your hands having been designed with a crash in mind. Takes a long time to break in – can be a painful process! 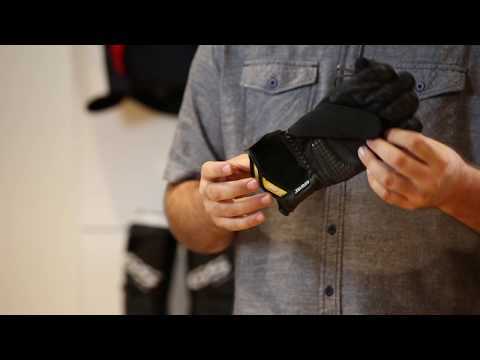 These gear can be considered as entry-level track gloves. It is the first in the of Alpinestars lineage namely, the GP Plus R, GP Pro R II and the GP Tech and the Super Tech. These GP Plus R keeps it conventional, made with a mixture of cowhide and goatskin with no synthetics. The gloves are CE rated gauntlet style, has dual cuff closures, patented racing bridge as opposed to a sports bridge in the 3rd and 4th finger, internal Kevlar lining in vulnerable areas and comes in a wide range of 6 colours. GP Plus R are more on the stiff side, with a pinch point in the pinkie finger area. It requires a long break in period and the finger stitching is not entirely durable. The dual cuff feature of these gloves is cumbersome – a hassle when putting on and taking off as the wrist strap is too short for most people. The cushioned knuckle area has plastic protection, meant to protect and slide during a crash. The finger area also has added raised protection and elasticated bands in the finger area allow dexterity. Most importantly, the patented 3rd and 4th finger bridge guards the pinkie finger from dislocation or breakage in a low side crash. The lateral side has a whole cowhide leather protection, extending to the palm area, housing the Alpinestars Dynamic Friction Shield (DFS) additionally seated on top of foam. This is intended for slide protection, dampening vibration and absorbing shock from crashes or falls. A pad underneath the thumb area also serves the same purpose. 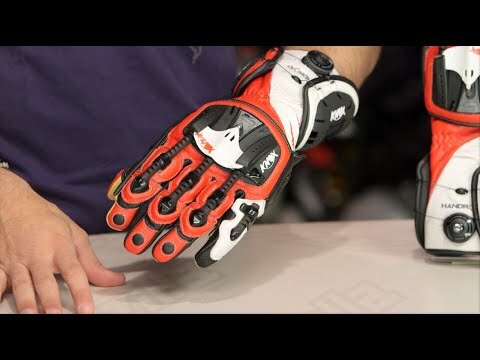 Alpinestars GP Plus R are highly ventilated with perforation holes on top of the knuckle are and the thumb. The palm is pre-curved with a large area of goatskin for comfort and external seams for a close fit. As these are track gloves, they are meant to be tight, and break in is about 10%. As these are more Euro fit – refer to the size chart to make sure! These are good starter motorcycle gloves before spending more, as it is suitable for track day enthusiasts or aggressive sports riders. The protection offered especially with the 3rd and 4th finger bridge gives a sense of security, and another plus point is the breathability and comfort. Take note on sizing and allow the gloves time to be broken in. Staying true to the BMW brand, these are meticulously made mid-length cuff gloves specifically designed for adventure riding. Using kangaroo leather and cowhide, not a stitch is out of place in these gloves. It is for all weather, with the 2 in 1 technology – which means you can use them with the Gore Tex liner when it is cold, or go straight to the leather in warmer weather. It comes with hard knuckle protectors and palm sliders and is also smart screen compatible. While claiming to be all weather, these can be rather warm in summer as it has the extra the layers from being 2-in-1. The excess fabric from the two chambers also adds some complexity in getting the fit right. Also – these do not come in any other colour but black! BMW Gemuime come in 7 sizes – there should be something for everyone, but as always, best consult the measurements to get it right. It has medium-length cuff and BMW has designed two chambers, one lined with Gore Tex material, making it waterproof and windproof. The second chamber is more for grip and tactile feel and is made of kangaroo leather, perforated in the palm area for breathability. Protective features include tough kangaroo leather and hard plastic palm sliders on the outer palm to withstand abrasion. The top outer back of the hand is made of cowhide, with hard shell knuckle protectors, further topped with foam padding. Additionally, there is a rubber strip on the side of the left finger – designed to allow you to wipe off moisture from your helmet visor. The cuffs are thick and are fastened with Velcro. Reflective strips are added to the sides of the gloves to increase the rider’s visibility at night. Meticulously made, not a stitch out of place and of high quality. These are truly all weather and would probably be the only motorcycle gloves you will ever need. The price is a little steep for what they are – but hey! You’re basically getting two gloves in one! The Scorpion SG3 MKII is a gauntlet gloves, constructed in goatskin leather with Knox palm sliders, knuckle and finger protection and is touchscreen compatible. It is suitable for street and track use, available in three colours. The protective features of Scorpion SG3 ticks all the boxes, crash protection is in all the right places and these features do not hinder dexterity or input from the front end of the motorcycle. Unfortunately, the finger stitching for brand is not robust enough and has the tendency to fray. In terms of design, the flaw lies in the gauntlet – it is simply too narrow and fastening it over a jacket would be a problem. The double closure feature is also troubling as the Velcro is too short to be fastened properly for most users. In terms of fit, this product is comfortable and fits perfect true to size, requiring almost no break in. Do consult the sizing chart to be sure of your size. It is ergonomically designed with the perfect pre-curve of the palm and fingers. The leather on the back of the hand allows for good airflow and it is overall comfortable, where the split knuckle protection flexes well, giving good feedback when gripping the bars. In high impact areas, seams are made on the inside and for comfort. These are three season motorcycle gloves and you can look into extending them into the winter with grip warmers making them perfect for cruising or full on racing. The Scorpion SG3 MKII are priced on the low end of the spectrum but did not compromise on protection and style. Its versatility means that you can use them all year round in comfort either in the street or track. The touch screen compatibility is a great extra feature! These gauntlet design are geared towards the sport touring rider, sport rider and adventure touring rider who wants comfort coupled with warm, dry hands. Made with lambskin leather, its internal construction comes with 3M Thinsulate Insulation and a waterproof membrane. Heat is felt in just 10 seconds once turned on and it is controlled via the singular touch-button located on the back of the hand. The carbon fibre knuckle guard offers protection and the touch screen capability is an added bonus. 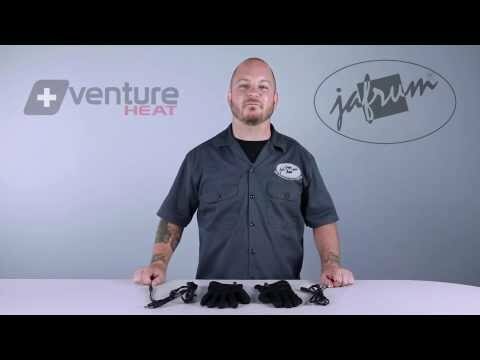 While Venture Heat claims that these gloves are waterproof, users reported that it is not and it gets unpleasant when wet. It is also bulky, with rather inadequate protection on the palm, specifically the scaphoid area, and the lateral side of the hand and along the pinkie. On the more positive side, Venture Heat are ready to go – it comes with all the accessories and you just need to plug it into the existing battery of your motorcycle, and a red light will appear on the control button on the back hand of the glove to signify that it is working. This also allows the flexibility for the gloves to be used with the ATV, snowmobile and scooter. Its interior is soft and comfortable, and once turned on, heats up faster than a battery would. It comes with a built in temperature control in three levels of heating. For use in 1 – 5 degrees Celsius for example, even when set at medium heat, Venture Heat offers pleasant warmth. It is also flexible enough for use in warmer conditions, without the heating function on.Venture heat in one of the best heated gloves available on markets. The heating elements are focused along the thumb and fingertips. The palm area is left thin and free for better grip and feedback from the bars. The gloves can also be paired with the 12V Heated Jacket Liner from the same maker. Ready to use with hassle free setup and fast heating. While it does work as intended, it is not waterproof and offers slightly less protection than unheated gloves would. The touch screen capability is an added bonus, and these gear can be used on its own if unheated. These are simply good spring/summer riding gloves made from soft, strong leather. No carbon, plastic or anything eye-catching other than Velcro straps on the wrist for secure fit and padding on selected areas. These are very durable, lasting over 5-8 years in normal conditions. The leather for these brand is dyed into two colours – black and tan. Unfortunately, when wet, the gloves are unlined and the dyes run and seep on to your skin, leaving an unsightly colour all day. Tour Master also do not offer much protection, other than from road debris compared to other bulkier versions – not even the basic knuckle or slide protection other than extra padding. That being said, comfort is definitely at its maximum with Tour Master. Deerskin is much tougher and provides better abrasion resistance than cowhide, while at the same time remaining soft with tons of flex even when wet. The gloves mould to the shape of your hand over time like no other. The outside seam makes for a closer fit and strategically placed pads on the palm and thumb area as well as its pre-curved shape reduces grip fatigue. They work well enough for touch-screen devices, and can be easily taken on and off. Ventilation is ensured with perforation on the fingers, and in spring/summer, these ensure pleasant touring. With heated liners and heated grips these can be taken for winter rides as well. Tour Master fit true to the size chart, not much of a gauntlet and fits well under jacket cuffs. These are extremely comfortable, simple and basic designed deerskin gloves for spring/summer rides. Lacks knuckle and palm protection, but it is sufficient against road debris. Plus points are given for its longevity and durability – expect it to last for years to come. Use with touch screen possible. The Shima Caliber are straight forward leather gloves made from goatskin. It is aimed at those looking for comfort and style, with basic protective features. It is carefully designed in the vintage style with decorative stitching and comes in black and black/brown. Colour selection can be tricky as the actual brown of the gloves is not as dark as pictured by the manufacturer, and the black leather is slightly greyer. Best to refer to actual user pictures to get a better idea before purchasing. While there is reasonable protection, it is not great – the gloves just have the basics. It also does not work with a touchscreen. Overall, these product do not skimp on comfort. The overall goatskin is soft and the gloves are designed with a pre-curved palm and finger profile to ensure a good grip. Breathability is maximised with perforation holes located along the fingers and back of the hand. The gloves come up to just slightly above the wrists, and this area is strengthened with additional leather panels and elastic inserts to keep the gloves in place during rides. Shima Caliber are CE rated. For impact and abrasion protection, foam absorbers and hard knuckle protectors are included in the gloves’ design. This is much more protection than is provided for similar motorcycle gloves in this category. Shima Caliber are true to fit and the leather is of high quality, requiring little to no break in. The palm area is slightly thicker but does not affect dexterity of the hands and there is still good feedback from the front end of the bike. These are more spring/summer riding gloves and additional layers would be needed to take it into winter. The stylish vintage gloves are well made and comfortable. While the colour might not be what it seems, it is still a good buy, especially with protective features such as the knuckle and palm protectors. These are old school designed full leather gloves that are comfortable and won’t break the bank. Entirely made of sleek black dyed cowhide, these gloves give the rider full feel and feedback from the front end of the bike. You have to look elsewhere if you don’t like black as these only come in that one colour! Upon first use, the leather of this motorcycle gear can feel a bit stiff and therefore it needs some time for it to be broken in. In terms of protection, these are totally unarmoured, no protection whatsoever, not even hard bits on knuckles. While it is insulated, the lining on these gloves is thin. It is definitely insufficient for full on long winter rides. These are full leather and therefore only repel water, but are not waterproof. 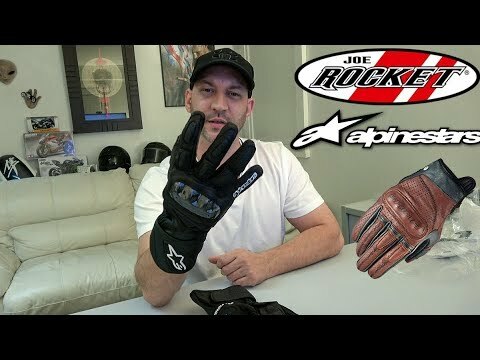 Joe Rocket fit true to size and the sizing is spot on, with additional sizes for those with wider palms. Do consult the manufacturers measurements to be exact. Ergonomically designed with pre-curved fingers, a thin layer of gels is placed in the palm area. This feature cushions the hands and makes these hand protectors extremely comfortable for long distance rides. As it is not bulky with armour, hand dexterity is at its maximum and the full sensation from the throttle is not compromised, making rides all the more thrilling. This brand are simple to put on and take off, without the hassle of straps on the wrist area. It just has comfortable elastic bands to keep the gloves in place. There is just a reflective logo on the top of the back of the hand area to assist with rider visibility in the dark and otherwise these are solid black. For the price, these are good quality full leather gloves that are designed for utmost comfort. It lacks protection, but allows full riding sensation, not to mention being designed to suit those looking for old style, classic gear. When riding a motorcycle, getting the right pair of gloves is of utmost importance. It is the second most protective gear after the helmet – you are programmed to put your hands down in a crash and therefore it is highly likely that the gloves will serve as the first line of protection. 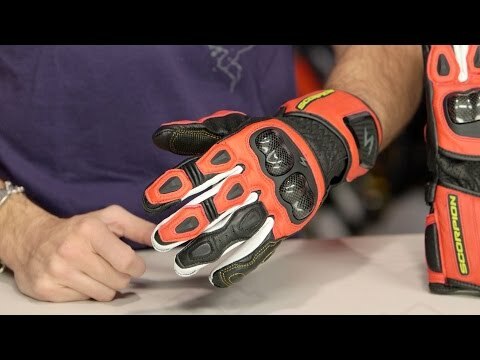 Every moto glove you encounter, there will be a size chart and a guide for measurement. Pay attention to these as there is a difference based on where the gloves are designed. For example, European cut gloves are smaller sized compared to American ones. In short, there are no shortcuts. 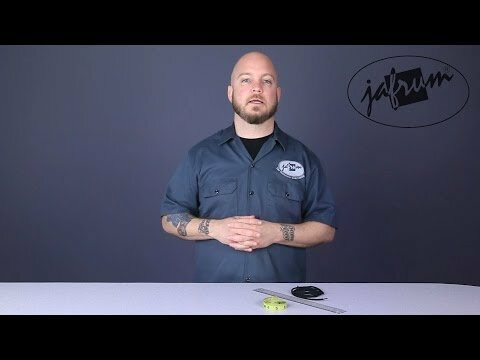 Measure your hands! To measure, lay your palm onto a tape measure and get the measurement of the widest area of your palm (typically below the knuckles). Similarly, if a circumference is needed, also measure around the widest area of your palm, and do it for both hands – your left and right hand usually differ in size – get the average. Refer back to the chart and choose your size accordingly. If your gloves are too tight, you will have a hard time manoeuvring your controls. Bear in mind that textile gloves do not break in and allow 5% break in for leather gloves. For ladies – remember that the palm is thinner than men’s and therefore measuring the circumference would be best. 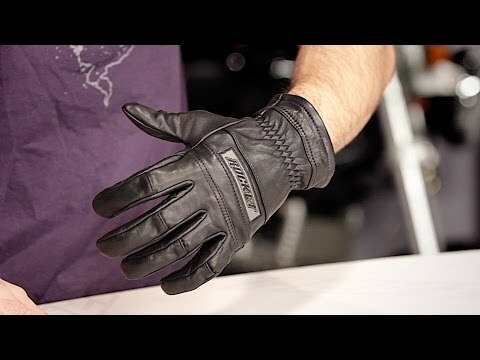 The ergonomics of the motorcycle glove depends a lot on the type of bike. If you are a sports rider, choosing a snug, pre-curved pair of gloves would feel more natural and provide good support. Sports riders also need gloves that allow a lot of movement and feel as well as feedback from the front end of the bike. Cruisers or touring gloves would be more relaxed, and are usually the best all round gloves. Protection should nevertheless be highly considered, either as safeguard in the unfortunate event of a crash or from other elements during a journey – road debris and the likes. If you are riding mostly in cold weather – definitely consider winter gloves. These come with different features – it could be heated plug-in gloves, or battery powered heated gloves . Material for winter motorcycle gloves may include Gore Tex that is waterproof and windproof or added material for lining and insulation. Also consider longer cuffs in winter gloves for added protection against the elements. Look for perforation in summer motorcycle gloves to ensure breathability and airflow. You should never go with fingerless gloves, as these do not provide any protection for your hands. In terms of what the motorcycle gloves are made of, lets start with the different leathers used. You will encounter cowhide, kangaroo, goatskin and also sometimes, deerskin. Cowhide is stiff and heavy but is able to take abrasion well. Kangaroo is somewhat similar but lighter compared to cowhide. Goatskin is soft and supple. Deerskin also takes abrasion well, and is soft and comfortable. The harder leather – cowhide namely, is mostly used as a hard shell i.e. the outside or form of the gloves. The softer leather is usually used to form part of the palm. Also on materials, various plastic composites and even metal can be used. The positioning of these components determines the level of protection provided by the gloves. For maximum protection – look for protection in the palm and scaphoid area i.e. the area beneath the thumbs, in the form of hard plastic sliders positioned in a way such that thedon’t get in the way when riding, but to slide when you put your arms in front of you in the case of a crash. Also to look out for is good protection on the lateral side of your hands, extending all the way along the pinkie area. Additionally, a bridge or a link between the 3rd and 4th finger would also protect against abrasion and breakage. Again, you have to weigh in these protective features against the comfort you want in your ride as these can be bulky and reduce feel and feedback from your bike. A good pair of motorcycle gloves should be well fit to enhance your grip and allow you a lot of control. They should not hamper your enjoyment of the ride while at the same time guard you in any unforeseen circumstances. They should be your best friends. By no means is this guide exhaustive, but they should assist you in choosing your perfect pair of gloves. Your opinion matters, and we welcome discussions! Do leave your thoughts in the comment section below.